We all know that red wine is good for you, but is there one ingredient that makes all the difference? This article looks at some of the discussion about the alleged "magic bullet" called resveratrol. Maybe we could just take a pill to get the health benefits of red wine without actually having to drink it. Now wouldn't that be a wonderful world to live in? A natural compound found in grapes, mulberries, peanuts, and other plants or food products, especially red wine, that may protect against cancer and cardiovascular disease by acting as an antioxidant, antimutagen, and anti-inflammatory. There is an important three letter word in that definition... may. "may" is a small word but it has significant implications. This compound became the focus of attention a couple of decades ago when it was found to have effects on the physiology of many animal species, including humans. It was thought to be the explanation of the 'French Paradox' that heart disease is lower in France than in comparable countries despite a diet rich in fats. Elements of the research about resveratrol were reported on in the general media and the compound gained cult status. The news prompted a significant shift in the preference of wine lovers from white wines to red wines. There is now a large industry producing resveratrol pills, tablets and food supplements containing resveratrol, but there are doubts about their value. New research suggests that it compounds other than resveratrol may be responsible for the health benefits of red wines. What are its supposed benefits? It has been noted that people in some regions have better health and longer lives even though their diet is rich in fat. The so called medium diet around the world has been studied to try to find out just what is good for you. Red wine drinking is one factor that is closely associated with this effect. Something in red wine provides protection against heart disease, diabetes, various cancers and some forms of dementia. Many plant based foods contain compounds called polyphenols. These include tannins and the colouring and flavouring compounds found in wine, and many other foods. Resveratrol is just one of these. Many polyphenols have beneficial effects on human health, but sorting out just which ones are the most effective is just being sorted out. Why the confusion about resveratrol? It seems resveratrol does have some of the protective properties attributed to it, but it seems other polyphenols, particularly ologomeric procyanadins (OPC) give the most benefit. Both resveratrol and OPCs are present in red wine to varying degrees, but the OPCs seem to be the good guys that pack the punch. 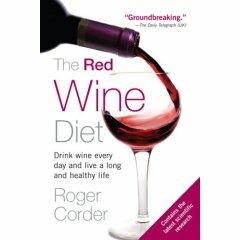 Cardiovascular and diabetes researcher Roger Corder in his book on the Wine Diet says "Red wine is a cocktail of polyphenols" Sorting out just which of the polyphenols are good for you has lead to the identification of oligomeric procyanidins as being identified as the most beneficial. Which wines are really good for you? The good molecules are in the skins of the grapes, especially red wine grapes. When red wines are made the juice is kept in contact with the skins for days to weeks and thus the OPCs get extracted into the wine. The alcohol helps the compounds dissolve into the wine. Research by the William Harvey Institute on London has shown that some grape varieties seem better than others. Tannat seems to be the top of the pile, but there are others, including Malbec. Tannat is the heart and soul wines made in the Madiran Region of South West France, and Tannat is the red variety of choice in Uruguay. Quite a few Australian wineries are also using Tannat. Malbec is making a comeback in Australia. 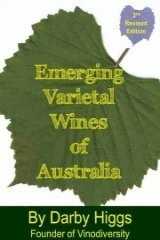 Once used mainly as a blending variety, some Australian wineries are now using it to make varietal wines. 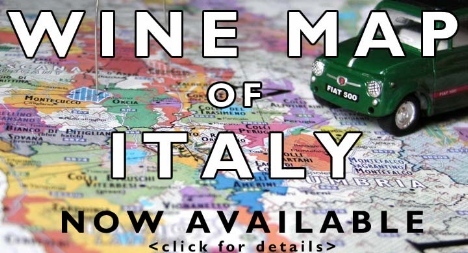 See Australian wineries using Malbec. The moral of the story about resveratrol is that nutrition and the human body is not a simple subject. There are no magic bullets to stop cancer or reverse the ageing process. But there are many smaller things we can do to make our life longer, and more enjoyable. Diet and exercise are both important. Diet is a long term process. Balance and diversity in diet are important, both for the long term benefits, and to allow you to maintain the diet over a long time. Drinking a variety of red wines as part of a balanced diet is one way of improving your health, especially if you seek out the interesting varieties that have high levels of OPC. Other foods which are good sources of polyphenols include dark chocolate, most berries - especially cranberries, and pomegranate. First the bad news - Resveratrol in wine is not going to help your health very much. The good news - There are other compounds in red wine that are very good for you, so keep drinking in moderation. I heartily (pun intended) recommend Roger Corder's The Wine Diet. The Wine Diet is not your usual wine book. It contains ten chapters (150 pages) of discussion about diet, wine and health and just two chapters (80 pages) of menus and recipes. The arguments are cogent and persuasive, a nice blend of logic, common sense and anecdote.